This course will present the recent diagnostic and therapeutic breakthroughs for some of the most common internal medicine problems using a combination of didactic and case-based teaching. The majority of the problems will be presented in 30 minutes or less to maximize the material you take with you to your practice. Dr. Deb Greco is an internationally recognized expert in Small Animal Internal Medicine. Dr. Greco’s PhD is in pharmacology and her subspecialty is endocrinology. Dr. Greco is the past president of the Comparative Endocrinology Society in the American College of Veterinary Internal Medicine. 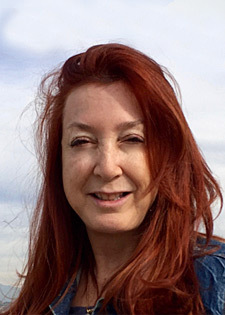 Prior to joining Nestle Purina as a consultant, Deb was on faculty at Colorado State University and then more recently, Deb moved to New York City where she was an Associate Veterinarian in the Internal Medicine section at the busiest Veterinary Hospital in the world. Dr. Gary Oswald leads a very busy private referral practice in Clearwater, Florida. 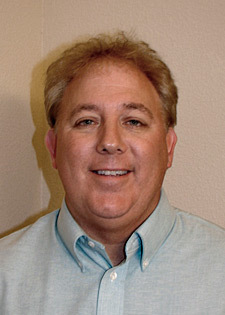 Gary is known for hiw practical presentations based on his years in clinical experience in private practice. Both Gary and Deb are very practical speakers and easy to talk to! This combination of two internationally recognized Internists will provide you with a practical approach to the management of many common medical problems that you encounter in your daily practice. You are sure to come away with some very helpful tips! Hypothyroid heartbreak: Is it hypothyroid or not? Is a heart murmur always indicative of underlying heart disease? Are cardiac arrhythmias common in cats? Is atenolol or diltiazem a better treatment option for feline cardiomyopathy? What is the best treatment strategy for congestive heart failure in cats? How do I prevent thromboembolism in feline cardiomyopathy patients? This asymptomatic dog has a murmur. What diagnostics are indicated? How can I safely optimize diuretic therapy? Which drug is better – enalapril or benazepril? When should I initiate vasodilator therapy? Should I be using carvedilol in my cardiac patients? What are the important consideration when rechecking my cardiac patients? How do I determine if a coughing dog has bronchitis or dynamic airway collapse? Which cough suppressant works best in dogs? When should I be using bronchodilators in coughing dogs? Which one? When would I use Viagra in a coughing dog? How do I tell if it is feline asthma or some other respiratory disease? Is corticosteroid treatment always indicated for feline asthma? What are my steroids options for asthmatic cats? Can I use human asthma drugs to treat cats? Does cyproheptadine improve asthmatic symptoms? When should I be using bronchodilator treatment in asthmatic cats? When should I be concerned about elevated liver enzymes? What are the new medical treatments for chronic-active hepatitis? Are all yellow (icteric) cats dead cats? What can I do to save the “fatty liver” cat? Why run more GI panels ? What does serum cobalamin & folate really tell me? Endoscopic GI biopsies – should I buy an endoscope for my practice? What are the best treatments for IBD in dogs and cats? What are the best treatments for PLE/lymphangectasia? Is probiotic therapy really useful in managing GI patients? How do I quickly and accurately diagnose pancreatitis? How important is the PLI test? Why pancreatic enzyme supplements do not always work in EPI? Overlooking Monterey Bay, next door to the world-renowned Monterey Bay Aquarium and in the heart of John Steinbeck’s historic Cannery Row, the new InterContinental the Clement Monterey offers magnificent panoramic coastal views, luxurious interior décor and the sights and sounds of the surf and sea. Many of our rooms and suites feature fireplaces, balconies and ocean views. This picturesque property features over 15,000 sq. ft. of indoor/outdoor meeting space, The C Restaurant & Bar, Spa, Health Club, Pool, whirlpool and Kids Club. Relax in the ocean air and watch the sea otters frolic in the kelp forest while enjoying an after dinner drink on our large oceanfront patio. Our oceanfront ballroom is the perfect setting for weddings, meetings and special events. 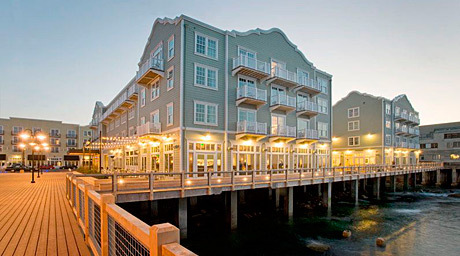 Visit Cannery Row for fashionable boutiques, delectable eateries, upscale galleries and a vibrant street scene. Spacious rooms with state of the art technology. High-speed Internet access- wired and wireless, marble bathrooms with soaking tub & separate shower, bathrobes, 37″ plasma TV & media center, in room-movies, iPod dock, 2 phones, writing desk, coffeemaker, iron & board and mini-bar. Rates above are exclusive of the following taxes and will be charged per night: Occupancy tax, currently 10%; Monterey County Assessment & Travel tax, currently $2.00; Tourism tax, currently 0.065% & Conference Center Facilities District (CCFD)* 1.6% . Alternative private parking centers close-by. Wireless in-room: available for a fee, currently $9.95 per day. Internet service is free for all Elite IHG Rewards Club Members. A valid credit card is required to guarantee your reservations. There is no penalty if you cancel at least 14 days prior to your scheduled arrival. If you cancel within 14 days of your scheduled arrival or are a no-show or depart early, you will be charged for your complete stay. Please note, that if you fail to check-in prior to 12:01am the following day of your arrival, the hotel will release your room for general sale so if you think you will be arriving after that time, please notify IVS and we’ll make sure the hotel will hold your room. Few places on earth can live up to their own mythology, but Monterey is a notable exception. No matter what you’ve heard or seen in feature films, nothing can prepare you for the jaw dropping beauty along its fabled coast and village-like pedestrian thoroughfares. John Steinbeck was a frequent visitor, and drew considerable inspiration from area landmarks including Cannery Row, which he helped to immortalize in his novel of the same name. Today, restaurants, boutiques and attractions like the Monterey Bay Aquarium have helped make Monterey a favorite destination for visitors from around the world. Enjoy open air dining of the daily fresh catch in a casual, relaxing atmosphere at a variety of inviting, restaurants. For restaurant information click here. Kayaking is a special way to experience the Monterey Bay and its environs. Floating on the water in a single or two-person kayak, you can get “up close and personal” with the sea otters, harbor seals, sea lions and other inhabitants of the Monterey Bay National Marine Sanctuary. And whether you’re an expert or are interested in taking your first kayak lesson, Monterey offers an unparalleled experience for all levels. Several local outfitters offer safety instruction and interpretive tours of the Monterey Bay and Elkhorn Slough led by marine biologists, which provide an insider’s appreciation for the fragile ecosystems. They usually offer group or individual lessons, kayaking accessories, a place to change, and, often, a place to take a hot shower. Discover Nature’s treasures as you explore one of the most scenic drives anywhere in the world. 17 Mile Drive, which runs through Del Monte Forest, is seventeen miles of sea and sky, immaculate golf courses, and dream homes set graciously behind elegant gates. Here you will experience the magic of this legendary scenic tour that’s home to The Lone Cypress, Seal and Bird Rocks, Fanshell Beach, Point Joe, and the colliding currents of The Restless Sea, as well as the natural habitat of the black cormorants, brown pelicans, California sea otters, harbor seals, and idle sea lions. Additionally, along the way, you’ll encounter the emerald fairways of such famous golf courses as The Links at Spanish Bay, Spyglass Hill and the world-renowned Pebble Beach Golf Links. For a gourmet picnic lunch along 17-Mile Drive, visit Pebble Beach Market adjacent to The Lodge at Pebble Beach. For some nightlife fun in Monterey, California, check out the nearby bars, nightclubs and theatres. For more nightlife information click here. If you are flying in- the closest airport is in Monterey. San Jose and San Francisco Airports also are within several hours. Please visit The InterContinental Hotel for information on driving directions and times.